Home Instead owner Tony Hussein braved the rain this weekend along with 20,000 attendees to host a stand at the local Hanwell Carnival on to help raise money for the organisers chosen charities and meet with members of the local community. Despite the bad weather, the carnival which took place on 18th June attracted 5,000 more visitors than last year. The opening fancy dress procession brightened up everyone’s day along with a wealth of attractions, stalls and performances including a dog show, musical entertainment and a display by The Red Barrows. 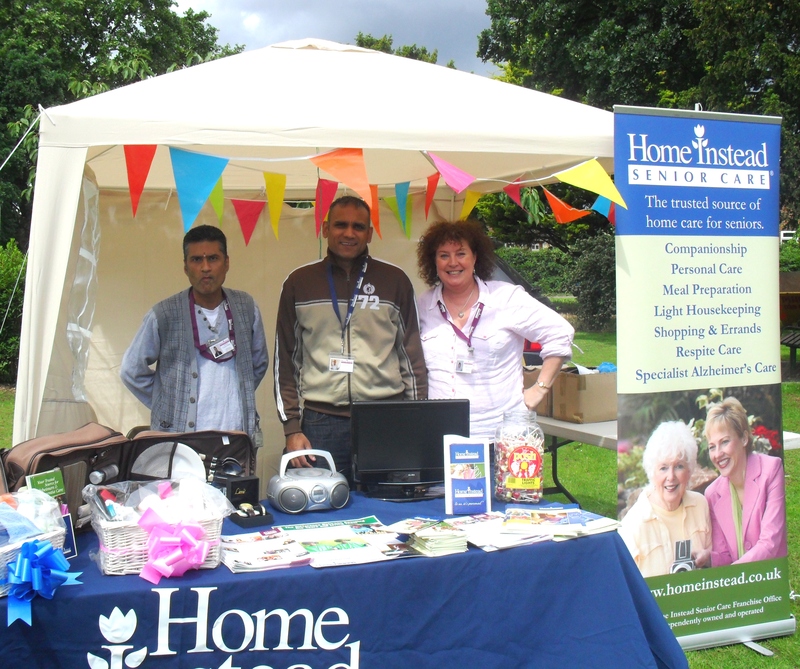 Tony manned the colourful Home Instead stall at the front of the carnival field and helped to raise funds for the Carnival’s list of local and national charities including: Age UK, R.S.P.C.A, Shooting Star Children’s Hospital, The Salvation Army and Ealing Mencap to name just a few. Tony and the other fundraisers are still collecting their donations from the day; however with such an increase in the number of visitors, the organisers are hoping to smash last year’s total.